Jennifer Rizzo is the artist/designer and owner of Jennifer Rizzo Design Company. She retails her handmade home décor and jewelry on-line and in boutiques and retail stores across the Untied States. She has been featured in, and has produced projects for over 20 publications such as for Country Living Magazine and RomanticHomes. 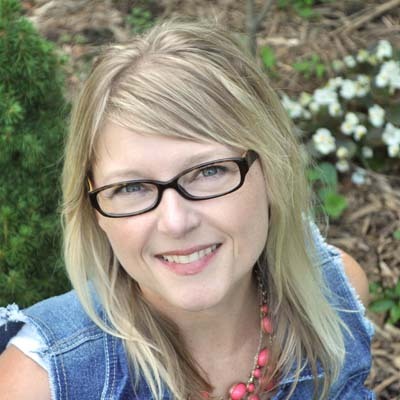 Jennifer teaches in-person creative hands-on classes and on-line art e-courses, and speaks at conferences and for women’s groups. She writes a popular lifestyle blog Jenniferrizzo.com where she shares DIY and creative living ideas. Her first book, Creatively Christmas was released October 2014. She lives just outside of Chicago in the ‘burbs with her husband and three children and lots of projects waiting to be worked on.